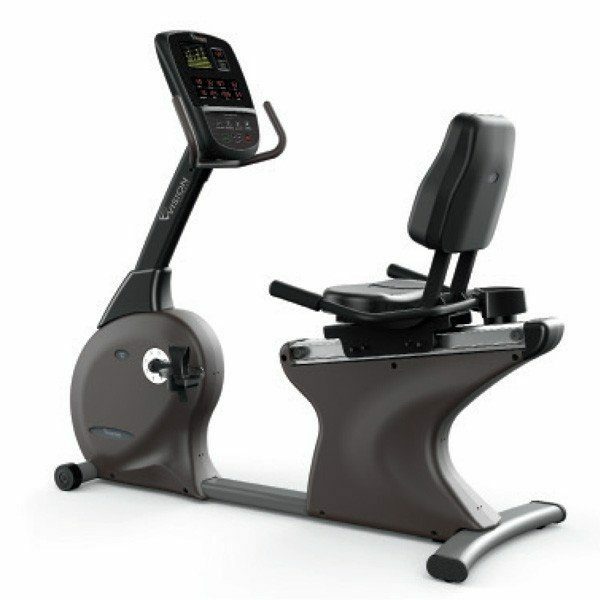 The Vision R60 Commercial Recumbent Bike was designed with user comfort and convenience in mind. 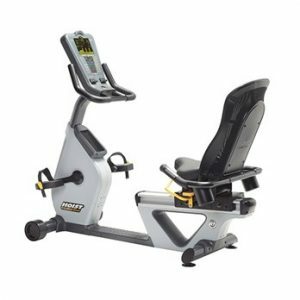 Step-thru entry allows easy access to the workout position, while the Pure Comfort seat with added lumbar support keeps users comfortable for kilometers of riding. Contact heart rate grips on the side handlebars allow for convenient feedback without changing your riding position. 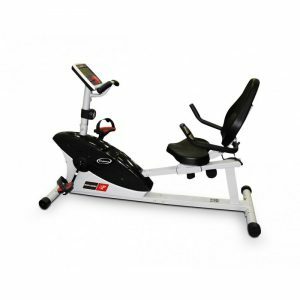 The two-stage self-generator power system allows you to place this bike anywhere in your facility. Frame Type- Heavy gauge welded steel recumbent frame. Pedal Type- Self-balancing with adjustable straps. Seat Type- Comfort seat with seat back for lumbar support. Resistance System- 2-Stage self-generating power. Resistance Range- 1 – 25. Handle Bar Type- Console and seat-mounted with contact heart rate grips. 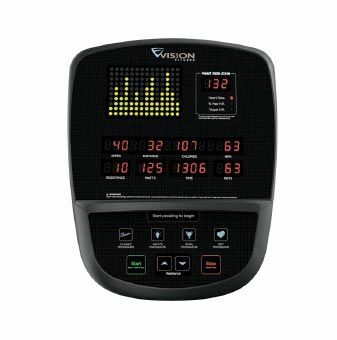 Display- 10×14 dot-matrix LED profile display, 16 alphanumeric LEDs with scrolling feedback, 4 customizable feedback LEDs and HR zone displayWorkout FeedbackTime, Distance, Calories, Speed, Resistance, Level, RPM, METs, Watts, Heart Rate, Target HR, % max HR, Profile. 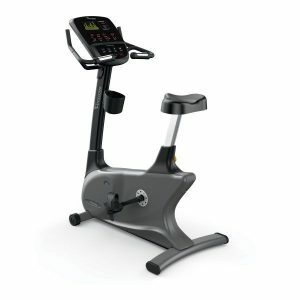 Programs- Classic (Manual, Interval, Fat Burn, Random), Watts (Constant Watts, Interval Watts, Hill Watts), Goal (Time Goal, Distance Goal, Calories Goal), HRT (HRT Weight Loss, HRT Interval) – 12 Total. Heart Rate- Contact grips and wireless receiver. Accessories- Water bottle holder and reading rack. Assembled Weight- 70 kg / 154 lbs. 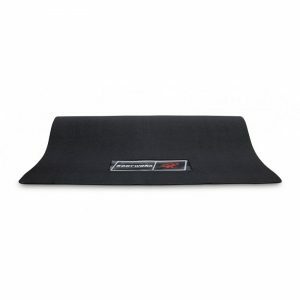 Assembled Dimensions- 161.9 x 72.5 x 138.3 cm / 63.7″ x 28.5″ x 54.4″.